Professer Parvatheesam is his dream role. Is branded as a remake actor. His first movie is Kaliyuga Pandavalu in 1986. 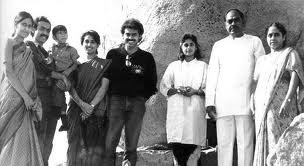 Venkatesh won 7 Nandi awards and 4 Filmfare Awards. He act 64 films in 24 years. His brother D. Suresh Babu is a very good successful producer. His quotes to life "You first exert, then you submit. After that you exit and accept it." 1986 : Nandi Award for Best male debut movie "Kaliyuga Pandavulu". 1989 : Filmfare Best Actor Award for"Prem". 1990 : Filmfare Award for Best Actor for " Bobbili Raja". 1996 : Nandi Award for Best Actor,"Dharma Chakram". 1998 : Filmfare Best Actor Award for "Ganesh". 2005 : Santosham Best Actor Awar for 'Sankranthi". hai sir,this is anitha from narasaraopet,guntur district,i am big fan of u.i want to meet u once in my lifetime.wish u good luck for ur future.me too following ur ideas and positive thinking.i like ur simplicity vry much. One and only great hero in tollywood.he can act all kinds of rolls.hatts of to u.
Venkatesh is the only OMEGA STAR in TELUGU industry. So i respect him and i am going to wish him to do more experimental films & commercial. I AM HAVING EXCELLENT MOVIE SCRIPT OF FULL ACTION (LIKE JAMES BOND MOVIE),IF VENKY SIR GIVES ME A CHANCE TO ME I WILL PROVE MY SELF. you are the no 1 hero in tollywood that maintains upto date style in all aspects either dresses or glasses.I think its time to focus more on challenging roles which gives more satisfaction to an actor and we would love to see u on the screen in oscar range as a true fan of u'rs. I had been watching u'r movies since the 1st movie and this is what I always expected from u.I never conveyed any kind of messages to u before but now i felt like passing it to u. wish u all the best in professional life as well as personnel life and continue to be always the role model. hi hero my name is ganesh iam big fan of you.your acting very nice.give me one chance actiting with you.please give me your phone number sir.please call me sir this is my number 9177180092.ADVACE HAPPY BIRTH DAY AND MARRIGE DAY. HI sir my name is balraj iam a big and big fan of u i wont to meet u in my lifetime, u r the super hero in tollywood. Sir my name is santhosh.iam diehard fan of you.i want meet u once in my life.and all the best to ur future career. sir i am a big fan of u. i want to meet u once. i watched all the movies of u. they are fantastic and the upcoming movie bodygaurd would be a success.i wish u all the best sir. thank u sir. sir i am a big fan of u. i am waiting for ur bodygaurd cinema and and next fourth coming movie sithamma vakitlo sirimala chettu. ur a succesful actor and i wish all ur cinemas would become a great success. i am a big fan of u sir. u are very cool. Hi Venky garu, i am big fan of you, i like you very much, its Shiva. i am a big fan of u sir.ur action is very super sir. ha ha ha.. ppl do u think this blog's writer is the hero himself?? do u think they even have time for all this?? Wake up!!! Tweeter is the only closet way common ppl can think o getting their msgs read by celebs!! Hai venki i'm meghashanmuganathan from ooty.you r my real hero venki. i love your all flim venki. i will meet u venki and all the best for your brightful feature venki. hai venki im meghashandhu from coonoor.you r my real hero venki.i'l meet u venki and all the best for your brightful feature venki.i see your all flim venki.all flims are its good venki. hai Hero,this is Narayana from Podili, prakasam district,i am big fan of u.i want to meet u once in my lifetime.wish u good luck for ur future.me too following ur ideas and positive thinking.i like ur simplicity vry much. your best actor in world i am your big fan of you from my child hood i meet you once in my life time thanking you sir yours veera veera abimani ni nerella purna prasad,Chintapallipadu. hi brother my name is venkateswarlu. i am ur fan. ur acting is super. if u dont mine my sggestion is please help the poor people if they are in troubles. i follow one sentence that is "ALWAYS B POSITIVE" it is learn from u. as well as u people have to follow one sentence that is " IMPROVEMENT ALWAYS STARTS WITH I" it is learn from me. only this is the request brother.plz-------------------- this is my mail id: kasibisi.venkat@gmail.com please response annayya. He leads himself, no compromise, One and only Actor in Film Industry (Acts himself). Good & Kind. My Inspitation is Victory Venkatesh Garu. hi sir im a big fan of u if i hv free time i will search for u r cute pics in internet.ur acting is vry good and cool. i am a big fan of you sir.in my life once i meet you sir. hai sir,you are a great hero. yours parents lucky i saw yours every movie.but i dont like your bating in celebrate matche. plz win in next matches. if i write bad . plz excuse me. i want to you are in great posision. hi venky garu i m big fan of u.
Hi venky sir how r u sir Advance happy Birth day and marriage day. I m big fan of u.
hiiiiiiiiiiiiii venky this is jyothi iam a big fan of uuuuuuuuu.i love u sooooooooooooo much .u look very handsome in every film . all the best for u r future.i want to act with u as a herione.and i wish u a happy birthday in advance. 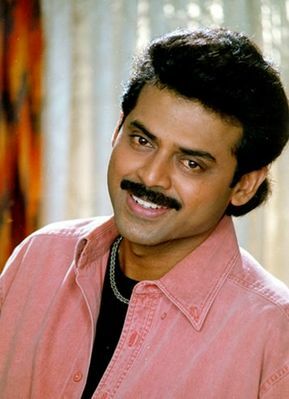 Love u sooooooooooooooooooooooooooo Much Venky!!!!! You r the Ultimate Actor in Tollywood! hi sir .this is raghu rathod.i love u so much sir .becauxe i watch your every film .and ur acting from raja & vasantam is simply superb sir.me adress ne victory ga marchukunna ghanatha mede sir. Especially "medi -soundarya" combination chala baguntundi sir. sir nenu oksari 13-01-2012 nadu ccl torney vunnappudu nenu metho matladanu sir .aa roju nenu yeppatiki marchi polenu sir .kani mimmalni nenu na life time lo okkasari na chudalani vundi sir.plz,,,,,,,,. many many happy returns of the day(13-12-1960) & happy wedding day(13-12-1985). TWINKLE TWINKLE LITTLE STAR, VENKI IS THE SUPER STAR...U R THE BEST AND AMAZING ACTOR AND U R THE GIFT FOR THE INDUSTRY. 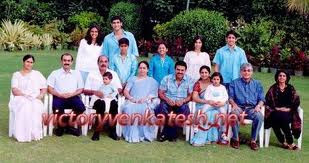 hai venky i am your very very big fan i want to see u and i want talk to u.my name is anusha from guntur. hi hero, this is ur greatest fan, i just love ur acting in swarna kamalam and garshana. i am always happy but is sad , and once see ur face thats enough next moment i will be very haapy. i Respect u a lot seeing ur simple attitude.once in my life time i want to see u,come offen to bangalore so that i can see u venki sir. sir iam a fantastic fan of you and youare real hero and it very bad to say we missed soundarya. This is venkatesh from Raichur Karnataka. Really I love to see you on Screen always and really I like ur innocent face and really I like u very while talking to you heroine especially Arati Agarwala. hello sir , this is Anjali from Malaysia , Penang . im 19 now .im your admire . In malaysia telugu films r really rare . even i m a tamil girl . i browsing ur films in youtube only . im not gonna say that i have watched ur all film but ii watched most . if wanna say frm heart im a fan of ur realty . u r not what in your film . u r totally different in reality . im a big admire of ur reality . and salute for ur simplicity . if ur gonna see this cmnt i would like to suggest u to choose diff story . we r expecting u in a diff view like chanti , dharmachakram . all the best for u always . Hi... VENKATATESHWARALU how r u? Iam from Bangalore and my name is Muktha.Iam bigggggggggggggggggggggg fan of u.I like u sooooooooo much.Your just amazing ,your simplicity your appearance,I like the most .I love u soooooooooo much. Na life lo vakka sari ina mimmalnu kalavali.One and only real hero. Ganesh...premante edera...suryavamsam...Raja..seenu...Jayam manadera...kalisundam raa....These are movies u gave me in my Intermiedate years(1998-2000)...has been a big fan you since then...My fav movies are Dharma Chakram and Ganesh...You are the best action(angry young hero) in Tollywood...I like ur comic timing too(NNN,malliswari)... Love ur offscreen persona as much as onscreen....Best of Luck for ur future films. Your eyes disturbing me. your smile superb. Your dressing sense superb. Your each and every movement superb. This is Latha from chennai,24 years old. I am a law student. You are elder than my father. Even I like you so much. I will come and meet you one day. I do not think as am your fan. But i could not say i am not in affection with you. I feel bad why you are 25 years elder than me?. If you are similar age elder than me definitely i can marry you.There is a good word in Tamil "Yettaa Kani". But i can come to you. hai ! sir m shamgowda, from bengaluru, m a v.bigfan of you, i just want to meet you,give me chance.THIS IS MY MAIL ID, sham_01gowda@yahoo.com please give me a date. Hi venkatesh annayya..How are you? moHi Venky I am a big fan u.. I always pray for u n ur family. 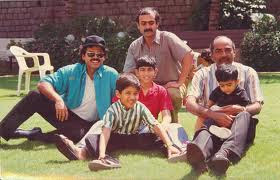 Venky is a nice human being n I like the way he take care of his family. His simplicity, humbleness awesome. He is a Role Model For many people..
All the best venky.God Bless..! Hi sir i kiran i am very big fan of you .I am from MH that;s why my hindi is well i seen ours anari movies lots of time our work is very good .Also i seen lost ours movies and like them very much.I like ours style ,our simplicity and our natural acting.I want to meet you .....plz.Best of luck for future. Hi sir, I am a Tamil girl from Netherland. But i know telugu. I am a biggest fan of u.
Meeru chese prathi cinema choosthanu, andhulo meeru chese comedy's naaku chaala ishtam. For example in Intlo Illalu Vantintlo Priyuralu, Devi Puthrudu, Nuvvu Naaku Nachav, Malliswari, Adavari Matalaku Ardhalu Verule, Chintakayala Ravi, Namo Venkatesa, Nagavalli, Bodyguard, Shadow and Masala lo meeru chese comedy's naaku chaala ishtam. Ippudu kuda appudappudu choosthanu. Meeru thayachesi appudappudu Tamil lo kuda vacheyandi. Tamil lo meeru chese Devi Puthrudu, Lakshmi and Adavari Matalaku Ardhalu Verule dub chesaru. Meeku Tamil vochani, naaku telusu. Oka direct Tamil cinema cheyyalani aasa padutunanu. Your acting is awesome, u are the king. news4andhra is an Informative Portal which provides information about the latest news and Entertainment. Hi venky sir i am a very big fan of u . Wish u a very Happy B'Day . Hi sir my name sardhar . Nenu miku big fan sir . Mi birthday 13 dec . Kec kat chestham. Hi Sir, I am Sharada. I am a big fan of u and my dream is to meet you once in my life time. All the best for your future. 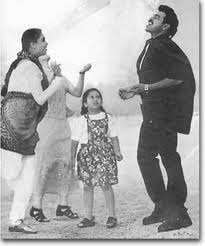 Thanks for posting the Victory Venkatesh Photos, Biography and movies list. He acted in the family and love movies. To see the Latest Venkatesh Photos and movie updates.